Alaska Airlines will switch from single-use plastic stir sticks to sustainable organic versions starting in July 2018. Alaska Airlines passengers will soon notice something different when they order in-flight cocktails or coffees. No, the airline’s not changing a crucial ingredient. But those plastic stirring sticks? They’re about to go the way of paper tickets and empty middle seats. Alaska Airlines will phase out plastic stirring sticks in favor of compostable versions made of white birch. Citrus picks will switch from plastic to bamboo. It’s all in the name of the environment, swapping out the singe-use plastic sticks for a more sustainable option. The changes begin July 16, when Alaska starts phasing out the plastic items from its flights and frequent-flier lounges. Though some global airlines have pledged to gradually reduce the use of such items, Alaska Airlines says its move will make it the first in the U.S. to eliminate them altogether. “Plastic is a serious issue for our planet. What’s important is continuing to move the global supply chain toward making sustainable materials accessible and affordable,” Shaunta Hyde, Alaska Airlines’ managing director – community relations, says in a statement to USA TODAY’s Today in the Sky blog. Indeed, concern has been growing regarding the impact of plastic on the environment. Single-use plastic items – such as the straws and citrus picks Alaska Airlines is set to replace – have drawn particular scrutiny by environmental groups. After handing out a 22 million plastic stir straws and citrus picks on its flights and in its frequent-flier lounges in 2017, Alaska Airlines hopes its shift to sustainable versions will make a difference. More broadly, Alaska Airlines says the change is part of its overall goal to reduce its in-flight waste per passenger going to landfills by 70% by 2020. Among the environmentally-focused changes already in place at the Seattle-based carrier: bottled beer has been placed with aluminum cans, which are lighter and easier to recycle, according to the company. And a policy to refill plastic cups rather than requiring a new cup for every round of beverage service has recently been reintroduced. 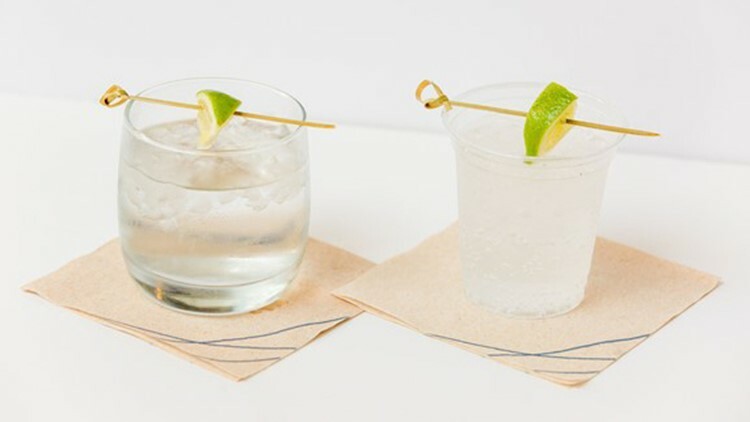 For the effort with straws and citrus picks, Alaska Airlines has partnered with environmental group Lonely Whale, which has made “For A Strawless Ocean” of its pillar campaigns. “Plastic pollution is causing devastating marine life issues with plastic now found in the bellies of whales, turtles, and more including seabirds, of which 99% of all species are expected to have ingested plastic by the year 2050,” Lonely Whale executive director Dune Ives says to Today in the Sky. “The banning of single-use plastic beverage straws sets a new standard for the travel industry, and we couldn’t be happier that Alaska Airlines is the first. U.S. airline to lead the charge.” Ives adds in the carrier's media statement.